NOTE: Price shown is for (1) manifold valve, either left or right. If you select the option to purchase a pair, the price will adjust accordingly. 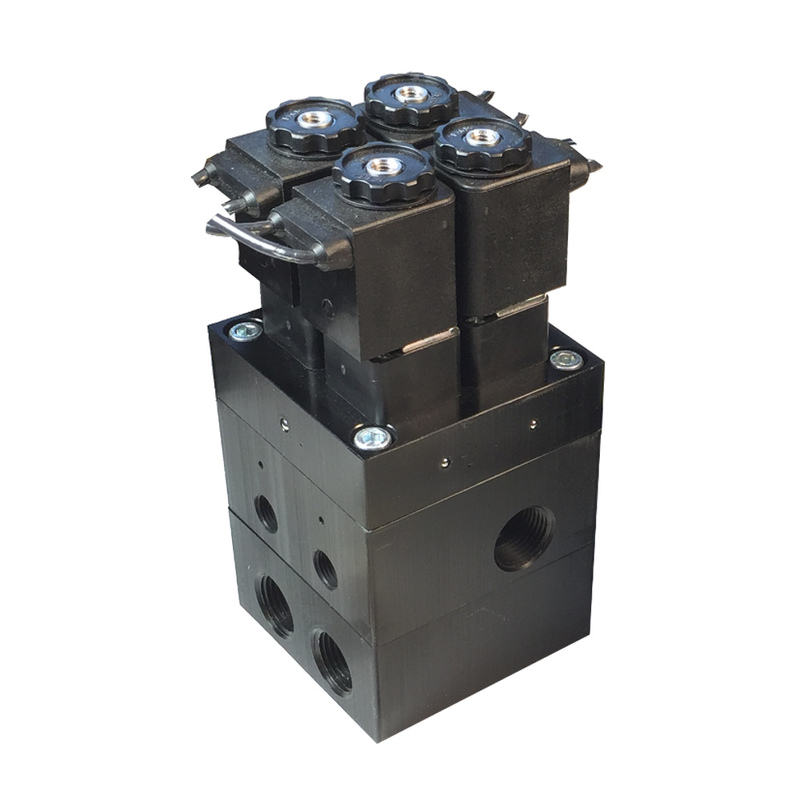 These 2-way manifold valves are designed to work with any 2-way, electrical switch or switch box. The electrical connections are polarity independent, enabling the installer to make connections in almost any configuration. The manifolds are made from solid aluminum blocks and are black anodized right here in the USA. These manifolds are also symmetrically designed to enhance the look of the final installation. The best part of these is that they are serviceable and modular. That means you can set them up to be either 1 manifold for the front and 1 for the back OR 1 for the left and 1 for the right. It also means that you can fine tune your setup and service the electronics with extreme ease. 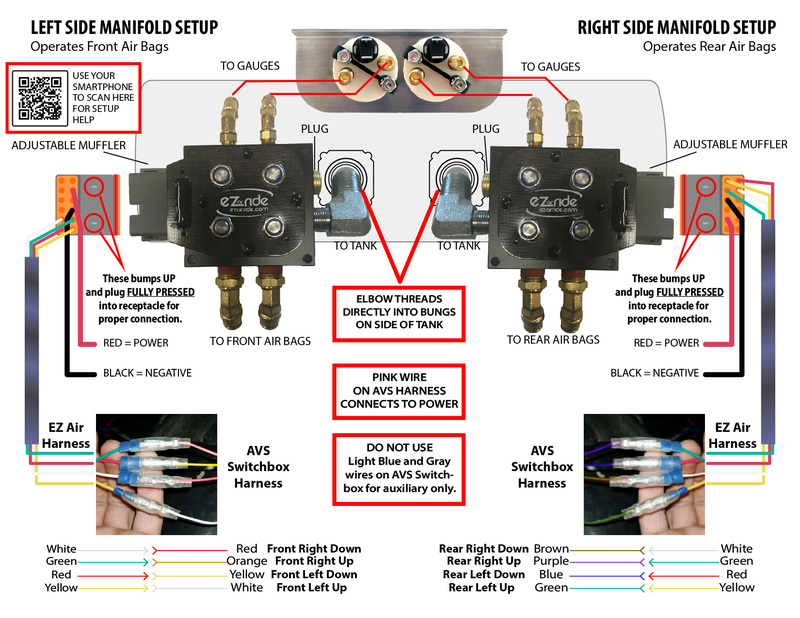 If a pair of these manifolds are mounted to EZ Air Ride's 7-gallon air tank, the final look would be aesthetically-balanced left to right. 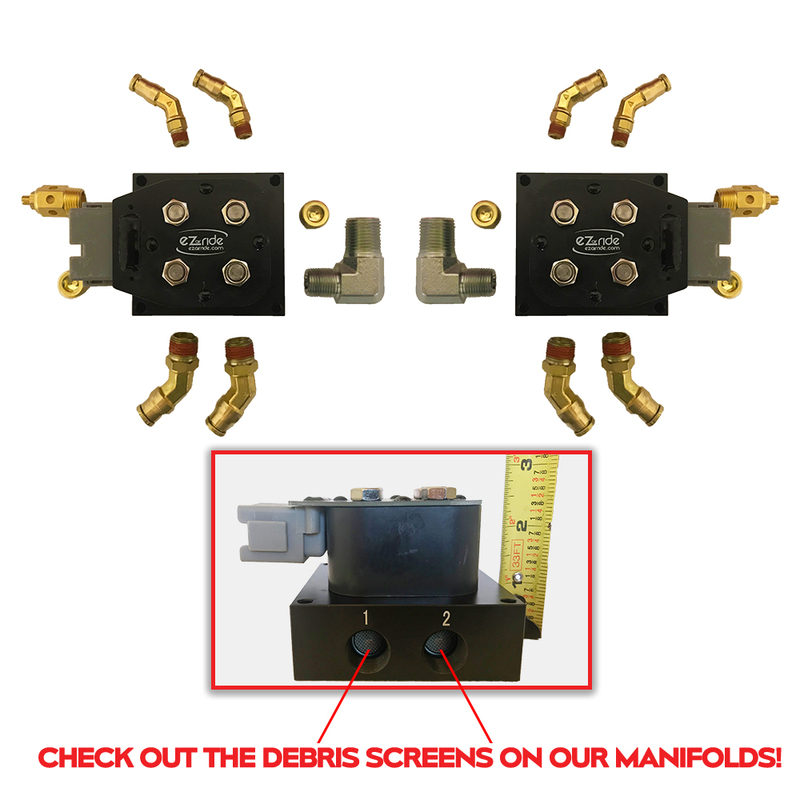 If you're looking for similar capabilities to Front-Back-Side-Side (FBSS), EZ Air Ride's manifolds give you that full 4-Corner Control (4CC) of your air ride system. These manifolds have a true 3/8" orifice for output to your air bags. There is a similar block manifold out there that sells well north of $500 and is advertised as a 3/8" but is actually choked down to 1/4"; which is SLOWWWWWW. Plus, they are not user serviceable. EZ Air Ride's Manifold Valves are amazing products that will not only simplify your air ride setup, but will also clean up the look of the install.